Why Hire An Agency for Your Business Social Media? 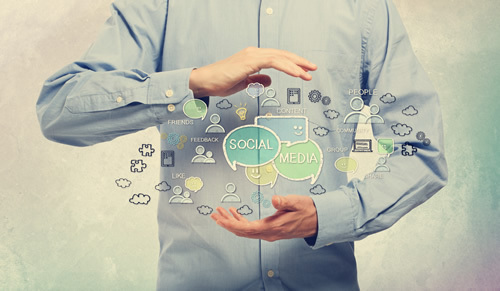 The benefits of working with an agency for your business social media are many. The bottom line is, employees come and go. Agencies don't. A professional agency will give your business the RIGHT social presence for the best results and can protect you from potential copyright infringement issues. It's scary to think of the number of businesses out there having employees execute their social media. Businesses are put at risk each and every day through the use of copyrighted materials on their social media channels by their employees. Protect yourself from copyright infringements. If we aren’t using photos that you (or we) have personally taken, we purchase and use royalty-free images for your social media posts. This protects you from possible copyright infringement. You should never just use an image you found on Google. Too many businesses do this, at their own peril. It's important that you own the rights to use the images you are posting. Agencies like ours pay a lot of money for subscriptions to royalty-free image libraries for use on social media posts. This is for your protection and it's worth its weight in gold. Your business will look polished and professional. We professionally optimize and brand all images used in your social media campaign, giving your business a much more polished and professional look over your competitors. We execute social strategies with search engine optimization in mind. There are specific strategies and techniques that can make a significant difference on how your site ranks and what kind of site traffic you are receiving from your social efforts. Bold calls to action drive traffic to your website and blog posts, and great content drives interaction. You'll have original, quality content that your clients want to see. All content is original. You can trust that it wasn’t copied and pasted from another source … again, protecting your business from possible copyright infringements. We proactively work to grow your reach. We execute page promotions and boosted posts on a consistent basis so your presence and social reach continues to grow throughout the life of the campaign. It’s cheaper than hiring an employee do it. For an average of just $75 per week, you couldn’t hire someone to develop, write, and execute the level of social media content and social media engagement that we provide. Consistency and quality are key. Your presence and engagement is consistent and professional. It's not 5 posts one day with a six week gap before the next. Top of mind means consistency and quality - that's what we do. There's no long term contract here. Our plans are month to month. Perfect for businesses who are looking to be top of mind AND top of search, our Full Engagement Social Media package includes a weekly blog which builds fresh content around your online presence on a consistent basis. We start by creating a baseline of your social presence and website rankings. This provides a way to measure growth and improvements in your online presence. We also do a competitor analysis (3 competitors) and develop a 12-week social media theme plan. If your social media channels are not setup with profiles fully completed and branded cover images present, we can take care of this customization for you. *For businesses who are really working on building search engine rankings, the full engagement social media package can also be paired with our On-Page SEO Package @ just $50/month, offering a tremendous savings! Contact us for details. Ideal for businesses who want to grow their social media presence, but aren’t as concerned about search engine rankings for their business. It includes everything but the blog, the baseline, theme plan, and competitor analysis.